This stage is located at Manasipalayam about 3km from Kethanur. The stage distance is 12.45km long and the surface is smooth gravel. This is a spectator friendly stage where one can witness the rally cars three or four times from the same spot. This stage also has four dips and three escape roads in case of any emergency. There are jumps at 5km and 6.4km from the start, which will be good locations for photographers. There are also few sweeping corners where you can watch rally drivers sliding their cars in a thrilling spectacle of speed. There are two spectator points at this stage. This stage is located to the east of Kethanur at approximately 2km from the four-cross junction. 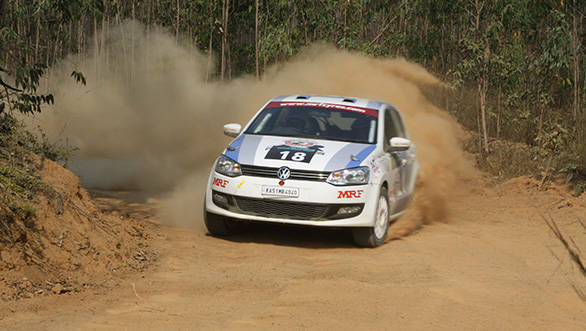 The stage distance is 24.81km and it is the longest stage in FMSCI INRC in recent times. This stage, like the Gem stage, is smooth gravel with a few patches of rocky surface. There is the Midpoint First Intervention Vehicle (FIV) and a Stroke Ambulance placed at 14.27km from the start. The Midpoint can be reached directly from the start as well as from the finish at a distance of less than 4km. There are three escape roads in this stage to facilitate treatment and evacuation during any medical emergency. There are three spectator points at this stage. This stage is held at the Kari Motor Speedway and will be a full tarmac stage. The stage distance is 2.32km. Elaborate arrangements have been made for spectators to view rally cars going past during the SSS. At the same time, extreme care has been taken to ensure safety of the spectators.